Rumor is…Zino Davidoff was best friends with Rothschild family, they both traded wine for cigars every year. Zino named his cigars after the 5 best first growth wines and later named a cigar after Dom Perignon champagne. 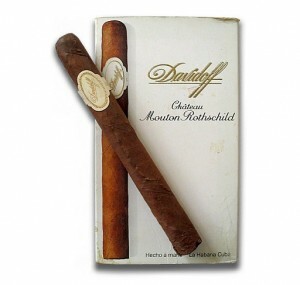 Davidoff was allowed to raid Rothschilds personnel cellar for cigars, which after 1992 were never made in Cuban again. The Cuban Davidoff is the most sought after Cuban(the holy grail) and most expensive cigar. As they say the cigars were made from 1969-1992 and Zino`s blend was never duplicated.